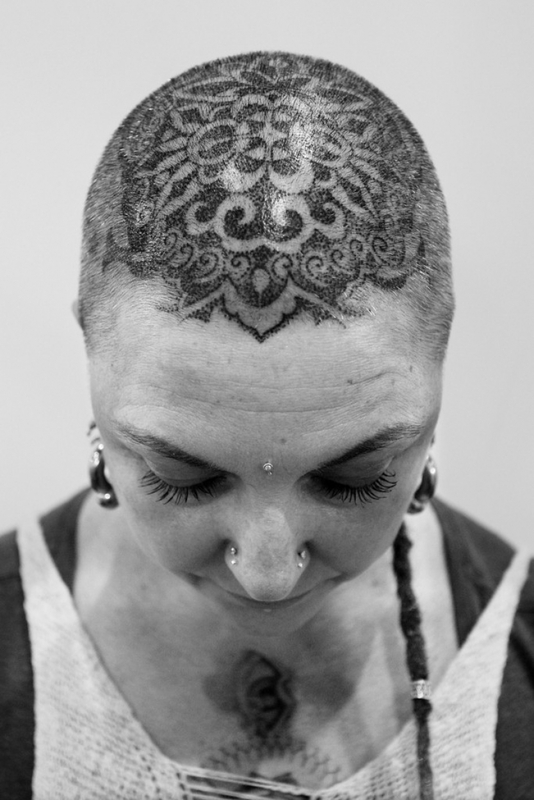 Image has been converted to black and white) Tracey from 'Skintastic' shows off her new head tattoo by artist Anthony Orsatti during The Australian Tattoo & Body Art Expo at the Royal Hall of Industries, Moore Park on March 8, 2013 in Sydney, Australia. The annual three day event showcases some of Australia's best tattoo and body artists and is open to enthusiasts March 8-10. - high-definition photo for free download.